Apple has pulled an update for its smartwatches after some owners complained the software had caused their devices to stop working. The problem appears to have baffled the firm`s repair staff, and there appears to be no way at present for owners to restore the products themselves. Several have said they have been told they need to send in the devices for a fix. Apple said it intended to release a revised update soon. Those affected reported that their watches had become stuck in a state showing the Apple logo - but nothing else - on their screens. One owner of a newly released Series 4 model said he had been told it would take the firm`s repair staff up to a week to decide whether his device needed to be repaired or replaced. Chris Ball from Belfast said Apple Support had sent him a message saying: "I know it`s hard to be without your Watch, but this is the only service method available for Watch. Even if you went to an Apple Retail Store or Apple Authorised Service Provider, we`d need to ship the Watch to a repair depot." He expressed frustration that having recently spent £750 on the device he would now be without it for days. 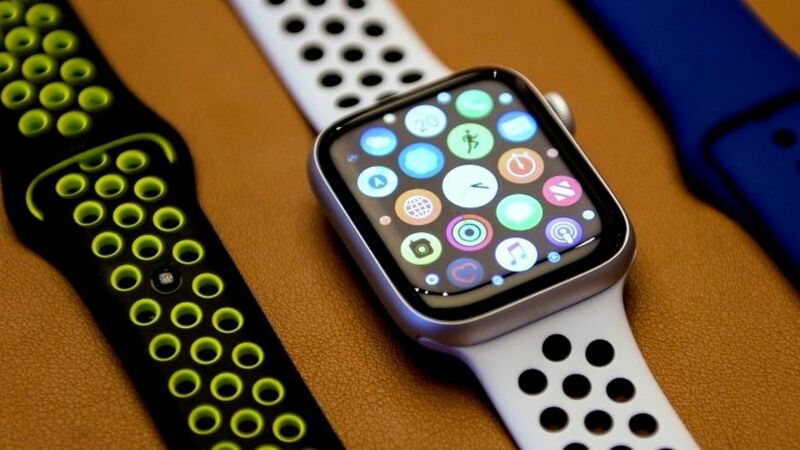 "My Apple Watch is now completely useless, stuck on the Apple logo screen," he told the BBC. "So I have to wait, due to a problem Apple`s software caused, meaning I have no watch. It is not known how many people have been affected, but others have posted similar accounts via social media. It is not uncommon for device makers to release glitchy operating-system code. Microsoft recently released an update to Windows 10 that caused some people`s files to disappear. And Google has acknowledged a bug with its Pixel 3 XL phones that is causing two notches to appear on some users` handsets. However, it is relatively uncommon for people to have to physically return affected items to address a software problem. "Due to a small number of Apple Watch customers experiencing an issue while installing WatchOS 5.1 today, we`ve pulled back the software update as a precaution," Apple said in a statement. "Any customers impacted should contact AppleCare, but no action is required if the update installed successfully. "We are working on a fix for an upcoming software update." The issue serves as a distraction at a time when Apple is focused on its latest launches - it unveiled new iPads and Mac computers in New York on Tuesday. The firm does not force users to adopt its latest software, but one expert suggested that in general it made sense to check the internet for reports of problems before downloading any update. "History has shown that waiting a little while before installing the latest software can help users avoid a mishap," said Ben Wood, from the CCS Insight consultancy. "There are now numerous examples across all different manufacturers that updates can cause considerable pain for the owners of the devices they are targeted at, and it`s probably wise to be cautious if you want to be certain they will keep working."